The main trophy of the Pirogovo Cup goes to… PIRogovo! 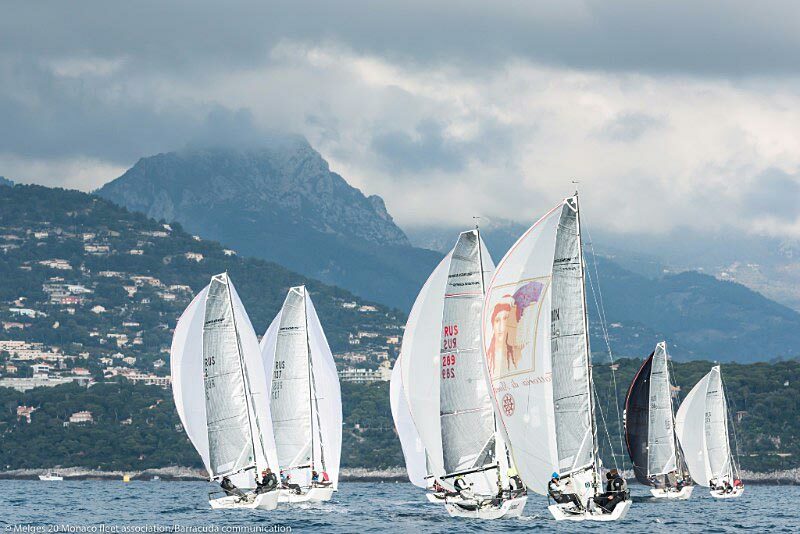 Act 4 of the Dynamiq Yachts Melges 20 Monaco Winter Series, the Pirogovo Cup, ended with a victory of the team from the Moscow yacht-club Pirogovo. The crew members are Daniil Odintsov, Alexander Ekimov and Yuri Morozov as the helmsman. Congratulations! 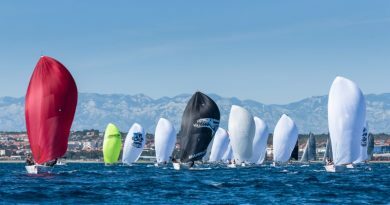 However, without undermining Pirogovo’s achievements, the star of this January regatta of the Melges 20 was Vladimir Prosikhin’s Nika. They won 3 out of 5 races in this regatta. Before Sunday they had one victory in their pockets but on the last day of the regatta they just couldn’t calm down and won 2 more races. Prosikhin just started this season and his team has two experienced sailors, Giorgio Tortatolo and Davide Bortoletto. Even though it’s just the beginning for him, he was already placed 3rd in October. On the second stage of the Winter Series they were not that lucky and were placed 14th, also they didn’t participate in the last race, which led to big penalty points. In December Nika did not participate in the regatta and therefore, in the beginning of 2017 they were placed 11th in the overall standings. 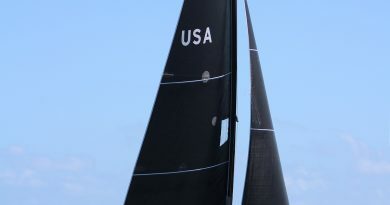 Hopefully, their position will improve after they were placed 2nd in the fourth stage.As was predicted, Alexander Novoselov’s Victor had a breakthrough on Sunday: twice they finished in the top of the regatta and they are among top 3 leaders for the fourth time. 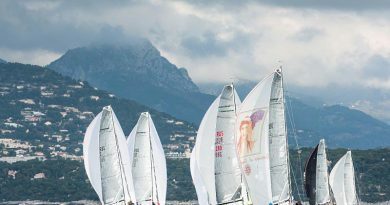 Yulia Kyrpa’s Anna, the debutante of the Melges 20, had a steady day (5th and 7th places) and remained in the 4th overall position. Now that’s a success! Leviathan, who had quite a lot of drama in previous day (victory, OCS, 12th position) left they setbacks behind. 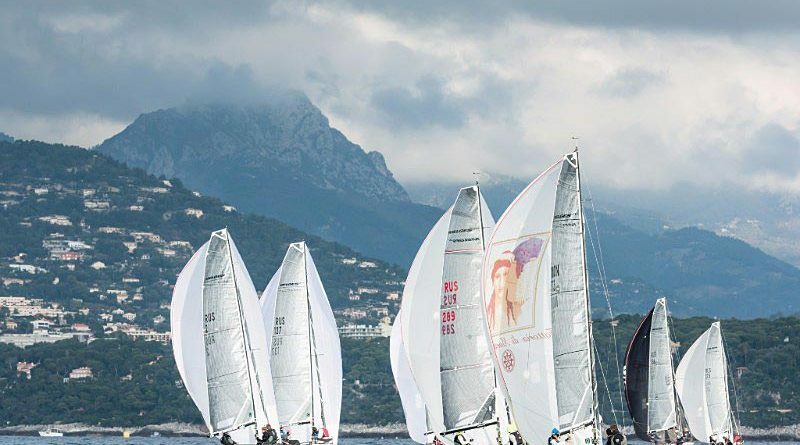 Vadim Yakhinson, Maxim Titarenko, Evgeniya Mekheitseva and Mikhail Sheremetyev did not their emotions take over: 4th and 6th place allowed them to be fifth in the rankings.Unfortunately, the regatta was not so good for Marussia. Even though it is a Corinthian team, their results in overall ranking are quite high. They very at their best on the Beluga Cup in December, were placed 5th there. But on Pirogovo Cup everything went wrong: in three races Marina Kaverzina, Sergey Peshkov and Velariy Zacarinskyi got 13 points, in another one they finished 11th. It doesn’t come as a surprise that with such points Marussia finished 12th and the last one in the overall rankings. We wish Marussia and everyone, who was not at their best on Pirogovo Cup, good luck in the future competition. Besides, there is a lot of time for analysis. The Act 5 of the Dynamiq Yachts Melges 20 Monaco Winter Series will be held on March 3 – March 5, 2017.